A bootloader, simply put, is a programme that sits on the chip and manages the upload of your sketches onto the chip. There are plenty of bootloading resources out there, but I struggled to find a single one that pulled everything together in a way that made sense to me. Here is the process that I followed. 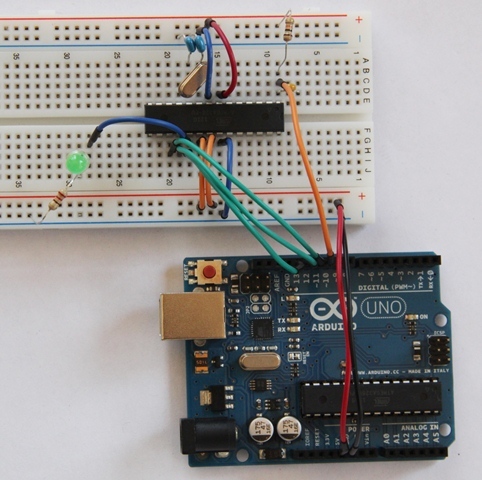 We’re going to use the Arduino UNO to bootload the ATmega328 that is sitting on the Arduino-on-a-Breadboard. This is fairly straightforward if you have an ATmega328P-PU, but needs an extra step for an ATmega328-PU. I’ll tackle the differences later on. 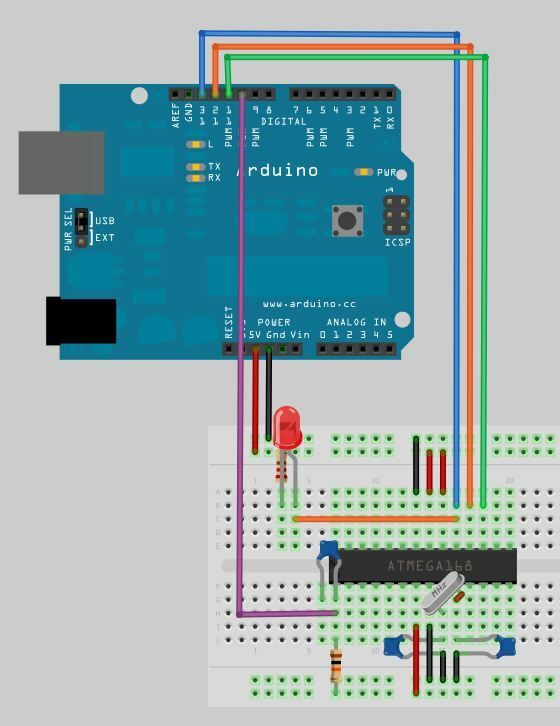 We need to program the Arduino UNO to act as a an ISP (In-System Programmer), so that it can burn the bootloader onto the Breadboard chip. 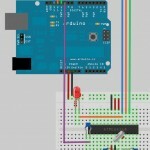 Connect your UNO to the PC, making sure it’s not connected to the Arduino on a Breadboard. Ensure your UNO is selected under the Boards menu option, and upload the sketch. Make sure that you don’t have anything else connected to the ATmega pins used above. 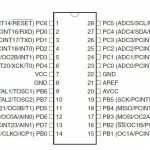 Step 5: Which ATmega328 are you using? I learnt the hard way that there is more than one type of ATmega328. 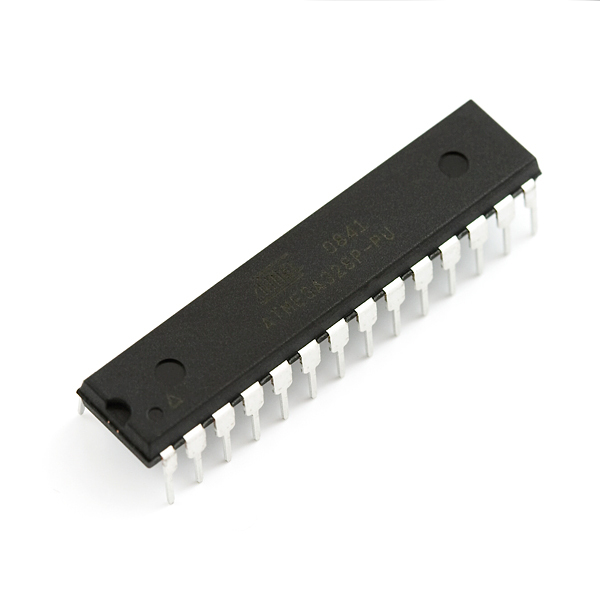 The two variants that are of interest to us are the ATmega328-PU and the ATmega328P-PU. -PU means that the chips are in a PDIP package, the format we need for our breadboard. The 328P is a picoPower processor, designed for low power consumption, and is the chip used on the Arduino boards. The 328 does not have picoPower technology, and is not used on the Arduino boards – as a result it is not explicitly supported by the Arduino IDE. What this means is that we can easily bootload the ATmega328P, but not the ATmega328. This was a problem for me, as I had bought a load of ATmega328-PU chips from a supplier that had listed them at ATmega328P-PU. 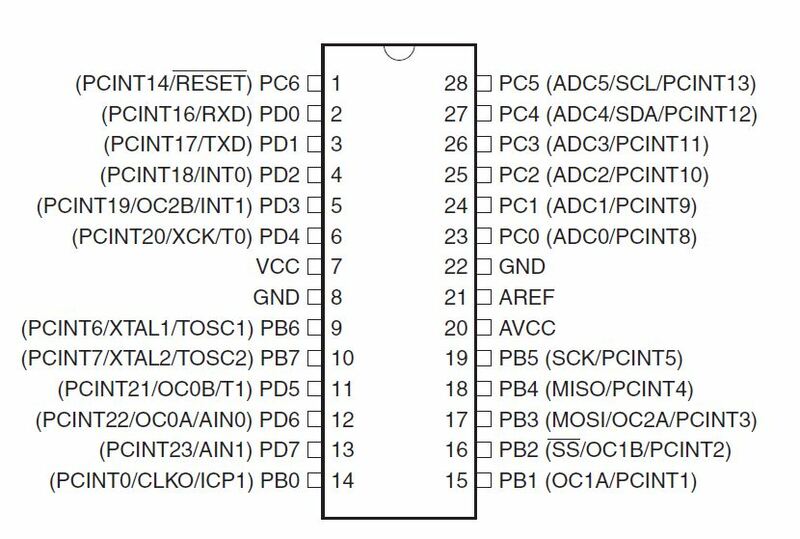 Workaround: Scroll to the end of this page if you need the workaround to get the ATmega328-PU working. To burn the Bootloader, choose Burn Bootloader from the Tools menu. Once the bootloader has been burned, you’ll see a message confirming the success. Congratulations: You’re now ready to load sketches onto your ATmega microcontroller! Each microcontroller has a signature – a unique code that identifies its model. When you bootload a chip (or even upload a sketch) the Arduino IDE checks that the chip selected matches the type it’s connected to – this is to protect the mcrocontroller from user error – if this check wasn’t in place and you accidentally select the wrong controller in the IDE and burn the bootloader you could “brick” your controller. Open the file avrdude.conf in a text editor – I use the cross-platform Geany as it formats the file better than Notepad. Continue with the rest of the steps, and once bootloading is complete restore the backup copy you made. You are now good to bootload ATmega328-PU microcontrollers as well! 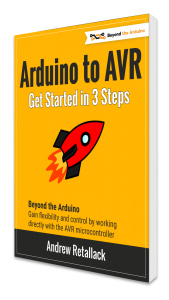 Note: A number of people, including myself, have tried to add an ATmega328 entry into the avrdude.conf and boards.txt. 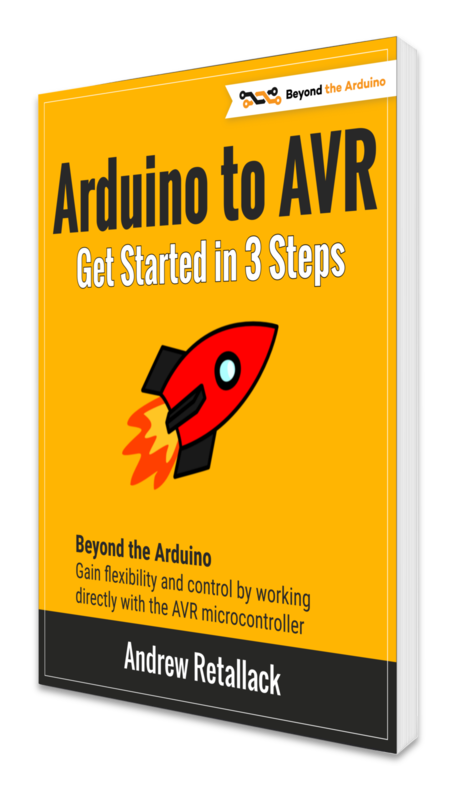 This process will allow you to use avrdude from the command-line (quite daunting), but the Arduino IDE will not compile. 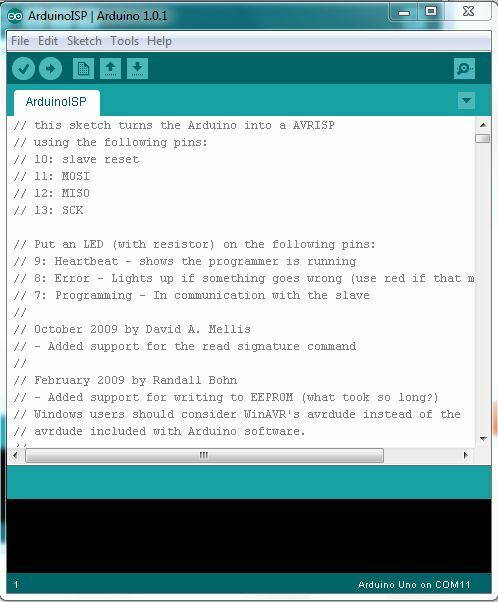 You can leave your setup as it is, and use the Arduino UNO to upload sketches to your newly bootloaded ATmega (File, Upload using Programmer). The IDE will notice that the signature isn’t valid – so you’ll have to either alter the avrdude.conf file again or use an FTDI board to upload. I prefer using an FTDI board anyway as it doesn’t take my UNO out of circulation and is quicker to connect.